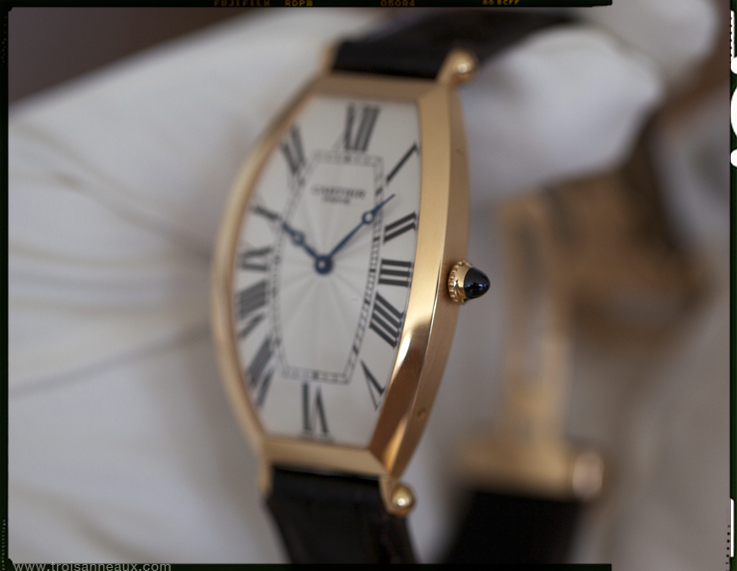 The Tonneau, one of Cartier’s most elegant models in the collection, is too often mistaken for a Tortue and the other way around. How come and what is the difference between the two? 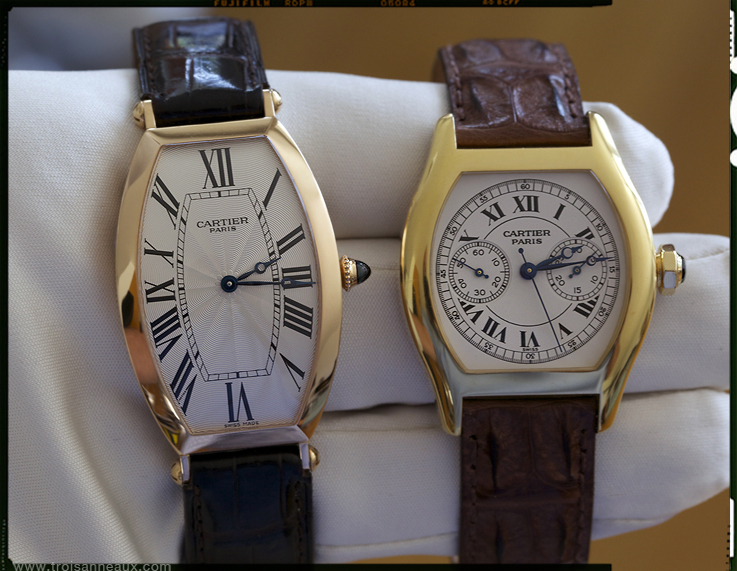 The history of Cartier models shows us that the Tonneau is the second oldest model. In line up there was first the Santos Dumont, designed in 1904, then the Tonneau in 1906, and the Tortue, released six years later in 1912. The Tortue had its 100th. 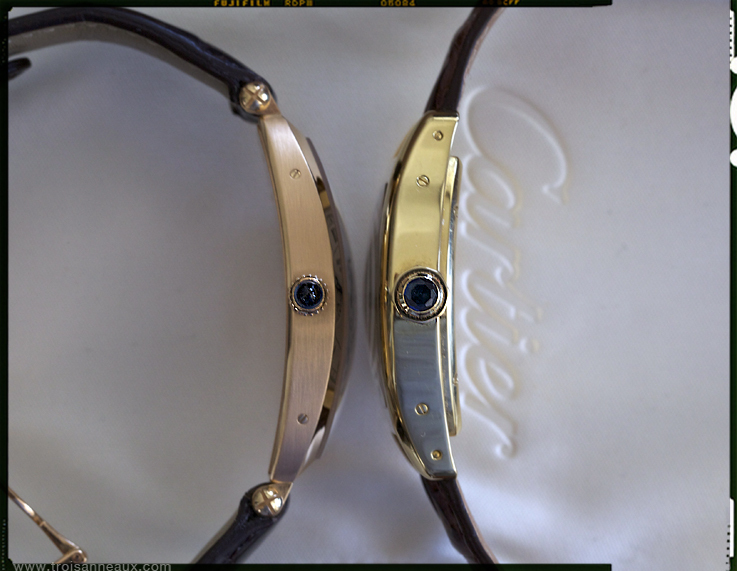 birthday last year, but Cartier did not celebrate that with an anniversary model. The Tonneau however had its 100th. birthday in 2006 and the model was rewarded by a larger model; the Tonneau XL. Quite an improvement, especially for men; we’ll come to that later. 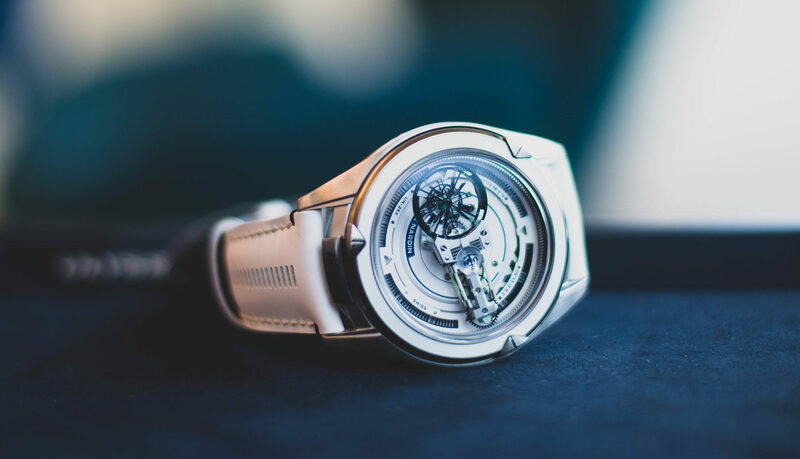 Both watches share that tonneau shaped case . . .
. . . but that is actually where the comparison ends, since they are worlds apart. While the Tonneau is a very elegant dandy style watch, with a stunning curved case, the Tortue is much shorter and less dandy than the Tonneau. The Tortue was just like the Tonneau, originally designed for men. In these early years most models were, and these cases were a lot smaller, than nowadays. Despite the fact that the case was small, it still was a men’s watch. A smaller ladies version was released later. Another difference is the fact that the Tortue has a roomy case that has been used for complications, like a mono poussoir (monopusher chronograph) minute repeater, or perpetual calendar movement, while the Tonneau, due to its slim case, always was and still is a time-only dress watch, or a two timezone watch, with two small individual movements. 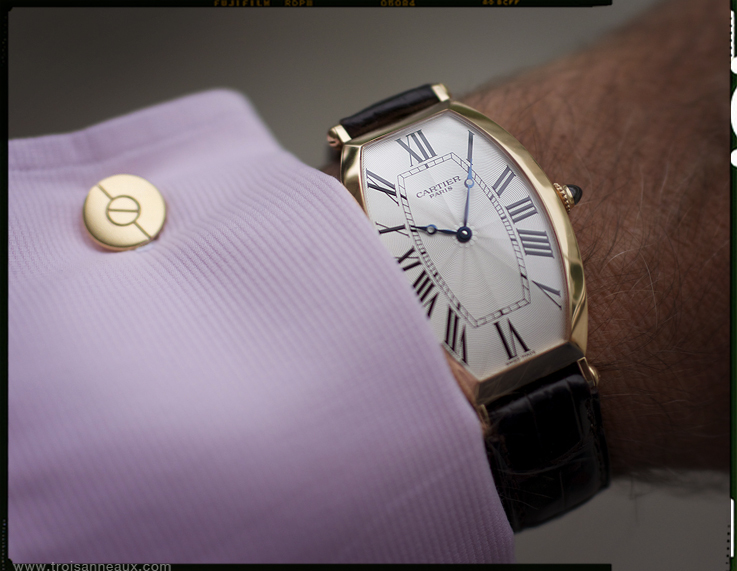 The problem with the Tonneau as a men’s watch only appeared in the eighties, when men found the watch just too elegant, mainly due to it’s very narrow strap, that looked a bit feminine, especially at the buckle. The case was not the problem, since the vintage version was not small at all. 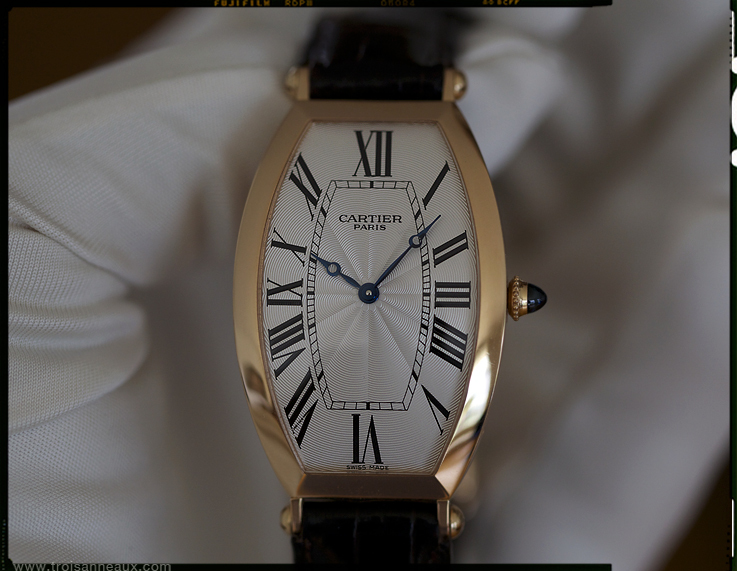 Cartier solved that problem elegantly by releasing a Tonneau XL in 2006, just when the watch existed a century in the catalogue. Not only was the case larger, also the strap was wider and was designed, to go slightly beyond the the lugs. Perfect solution since these few millimeters gave that extra width, that was needed, for what today is seen as a good width for a mens strap. 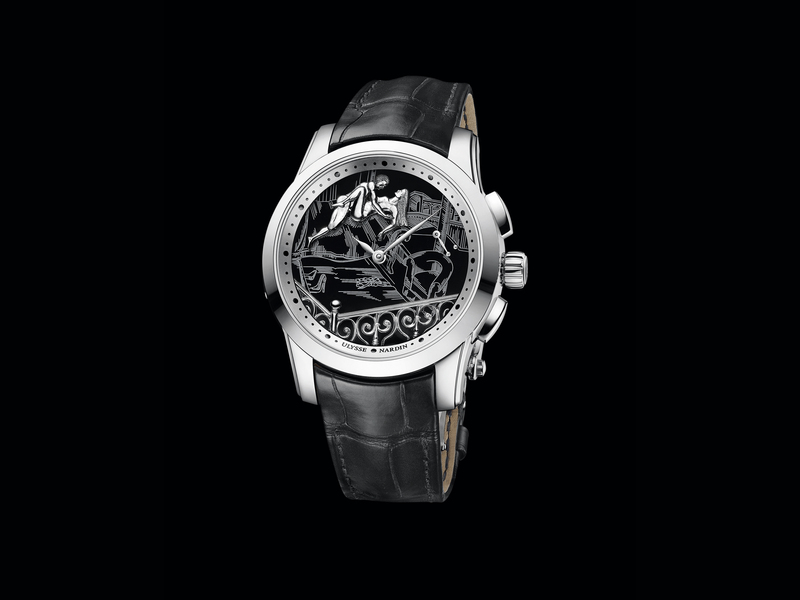 The Tonneau is thé Dandy watch in the collection, may be even more than the curved Tank Cintrée. 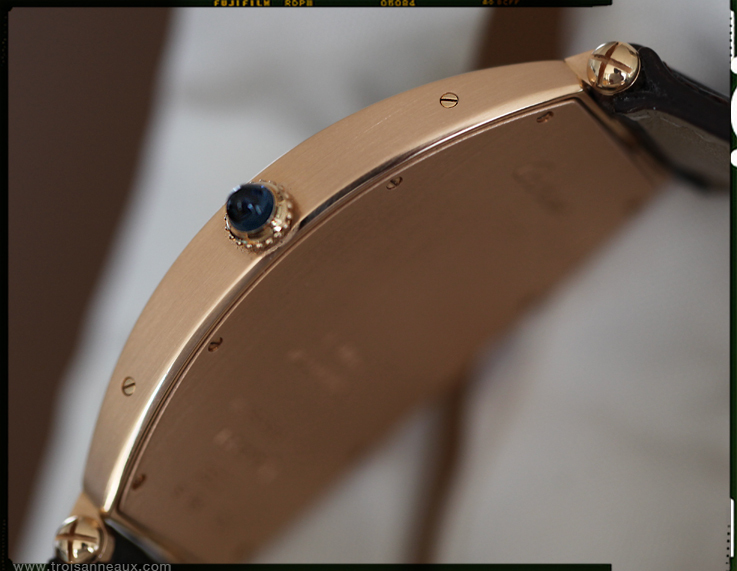 In ‘Collection Privée Cartier Paris’ were the last versions of the Tonneau, released in 2006. The model was, like previous versions, only available in gold and platinum and the two time zone models also in white gold, and like all Tonneaux, for short period only. The Tonneau is a very exclusive and important watch, meant for a small clientele and I am sure we will see this elegant timepiece again in the collection, in the years to come, since the Tonneau is an amazing classic, that should not be mistaken for a Tortue!